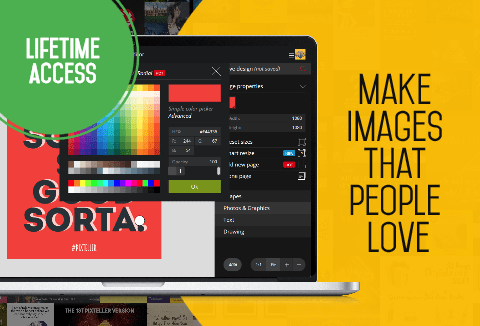 Make images that people love. With PixTeller, create a bunch of engaging images, social media covers, banners, graphics for print or any other design. Replace anything from images and shapes to text and colours using its design editor. Get inspired by a great variety of designs & templates. Create new personalized designs in just a few seconds. Buy now for just $39. Join more than 100.000 people who already use PixTeller to create amazing image designs. At A Price Of $39 Only! Absolutely brilliant Image Editing Software. It allows you so much flexibility to arrange things how you want them to look. It’s also very intuitive, so for those that are allergic to Photoshop, this tool is a must have! Pixteller is one of those deals that I am glad that I picked up. It’s very easy to use and the founders keep updating the platform on a regular basis, one can whip out designs for social media posts or ads in seconds.